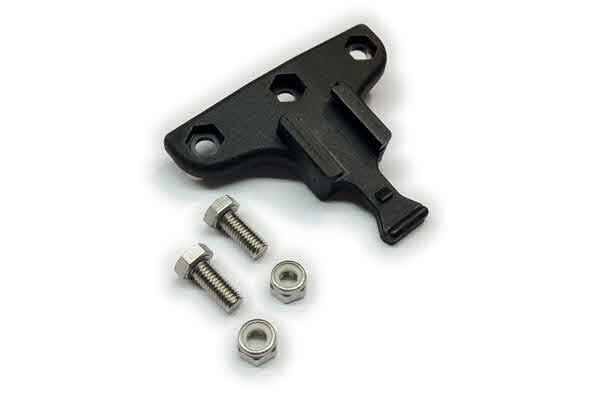 Mount your Cygolite Hotshot Tail Light to your rear rack instead of to your seatpost with this bracket. Fits racks with one centered mounting hole, or with two holes spaced 50mm apart. CygoLite lighting systems come with a 1 year limited warranty against any defective part or craftsmanship. The lamps and batteries are warranted 30-90 days after the original date of purchase (Dependent on the specific light system. For more details on the lamp and battery warranty, refer to your light system manual). If the unit is under warranty, CygoLite will repair or replace defective components at no charge provided the product has not been subject to misuse, abuse, or non-CygoLite authorized alteration, modification or repair. Warranted products requiring service must receive a Return Merchandise Authorization number (RMA#) from customer service.